On March 23 2018, the Greens are ready to take a stand for community members in the upcoming NSW State Election. The Greens will work with this community to understand what they want from their representatives. We have a strong vision for the future and will work with everyone to make that happen! To read more about our core platforms in this election, follow this link to read all about what we stand for. 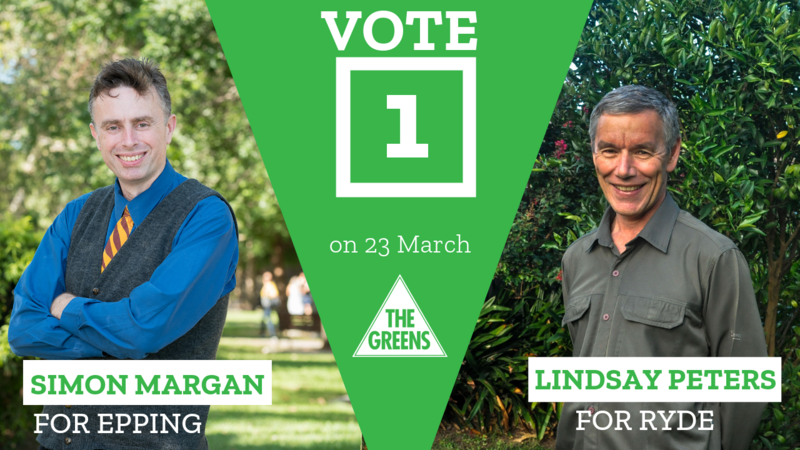 Simon Margan is the Greens candidate for Epping, and Lindsay Peters is the Greens candidate for Ryde. “I’ve lived in Epping for as long as I can remember. We moved here over 35 years ago, and I’ve long been proud to be part of the Epping community. This year l’m campaigning in the state election, as a new face in the political arena, with fresh ideas and new perspectives that will benefit the Epping area. “As a qualified lawyer, I’ve built up a strong background in human rights advocacy. I’m passionate about supporting multiculturalism, local employment opportunities, accessible, universal public education and equitable aged-care treatment. “I believe in state laws that incorporate a sense of equality for all people, regardless of race, gender, religion or sexuality. I am also on the Oceania board of ILGA, a United Nations Non-Government Organisation advocating against human rights abuses against gay and lesbian people. “As the Greens candidate for Epping I will advocate for better public transport, especially heavy and light rail, and stronger protection of our green spaces and local environment. This includes putting a stop to the rampant overdevelopment plaguing our neighbourhoods under the current Berejiklian government. 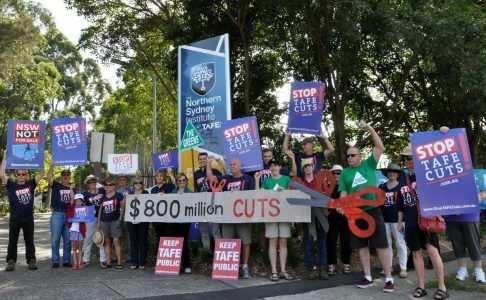 “Here in Ryde, we are experiencing massive over-development and the downsizing of public education facilities such as TAFE. The upcoming state election will provide residents of Ryde the opportunity to address these issues. Together we can create a fairer and cleaner future for all of us. “I’m the son of a refugee who escaped war-torn Europe. I have a PhD and BSc in mathematics from the University of NSW as well as a Dip Ed. Currently, I work as the chief technical officer for a small Australian company specialising in expert systems for medical applications. “I’ve lived in Eastwood for the past 20 years and have six children. My wife Kathryn works as a GP in a local practice. “During university, I was a member of a progressive chaplaincy community, active in issues such as social justice, fair trade, peace, feminism, indigenous rights and the environment – the same issues now championed by The Greens. I joined the Greens to support efforts to address the major issues of our day, including Australia’s disgraceful treatment of asylum seekers, our continuing logging of wilderness areas and our refusal to address climate change. Together, we can turn Ryde and Epping Green! Follow this link to volunteer on the campaign. If you would like to donate to the campaign, every little bit helps. We don’t accept donations from companies in the big end of town, so we rely on you, the community, to support our campaigns. Please visit our donations page. Want to find out if this is for you? Attend our next meeting or come to our upcoming event or action to meet the team. Unlike Labor and the Coalition, we don’t have the deep pockets of big business. We have something far more powerful. You.